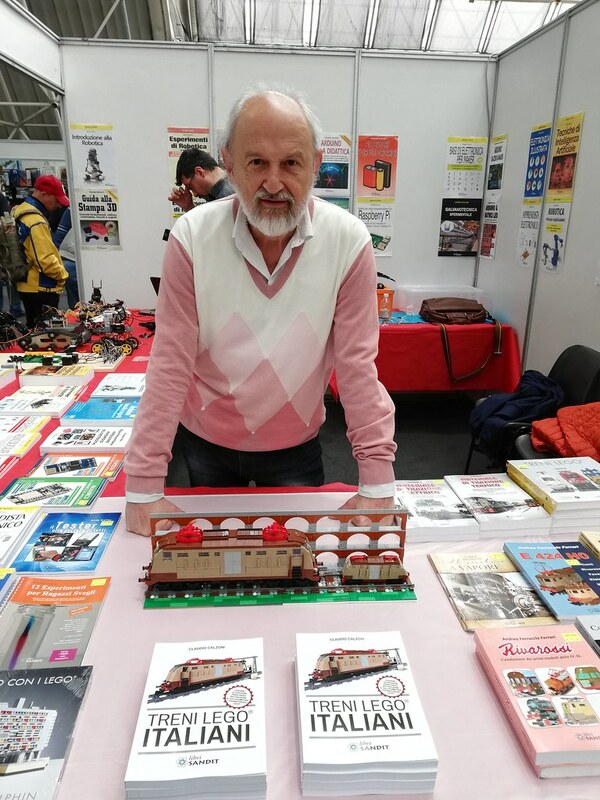 Here are two pictures from Novegro Hobby Model Expo were I presente my new (and first!) 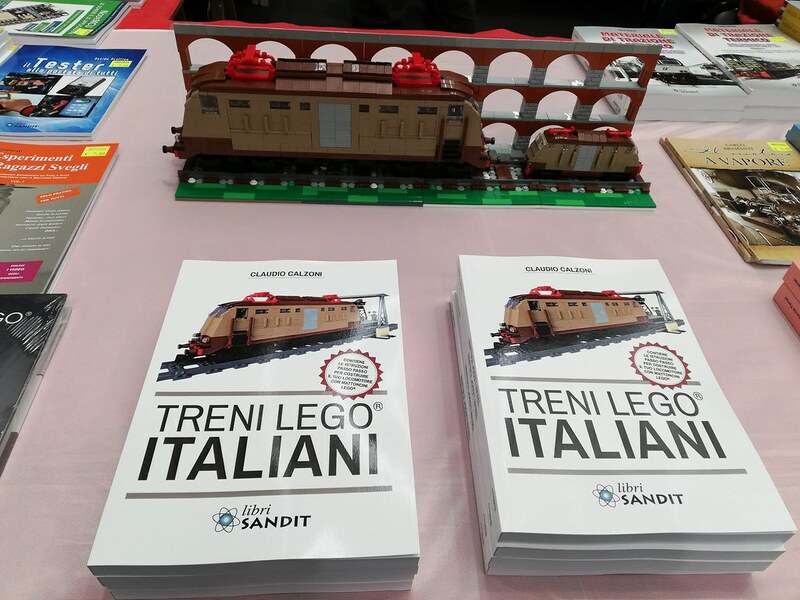 book dedicated to Italian historic trains that I reproduced with Lego. The volume also contains instructions for building two versions of the E 424 locomotive, shown on the cover, at 7 and 3 stud. To follow some pictures taken from the book. Great work Claudio, you've done an amazing book ...I envy you a little bit ! 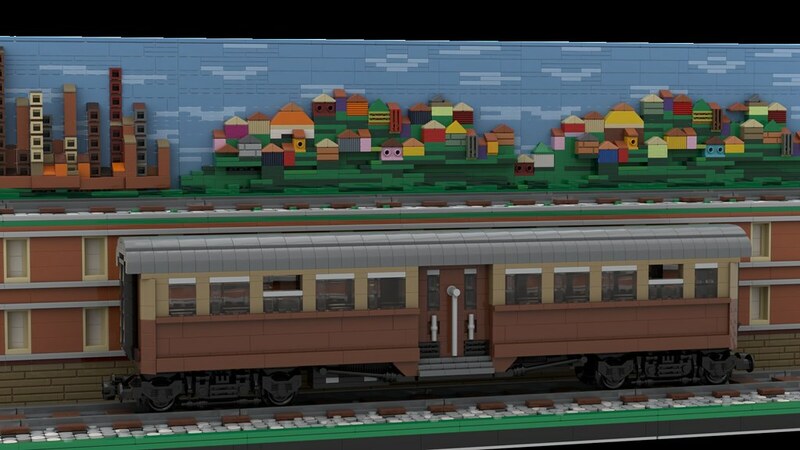 Congratulations to your book about LEGO models of Italian trains. Can you tell a little bit about the contents of your book? 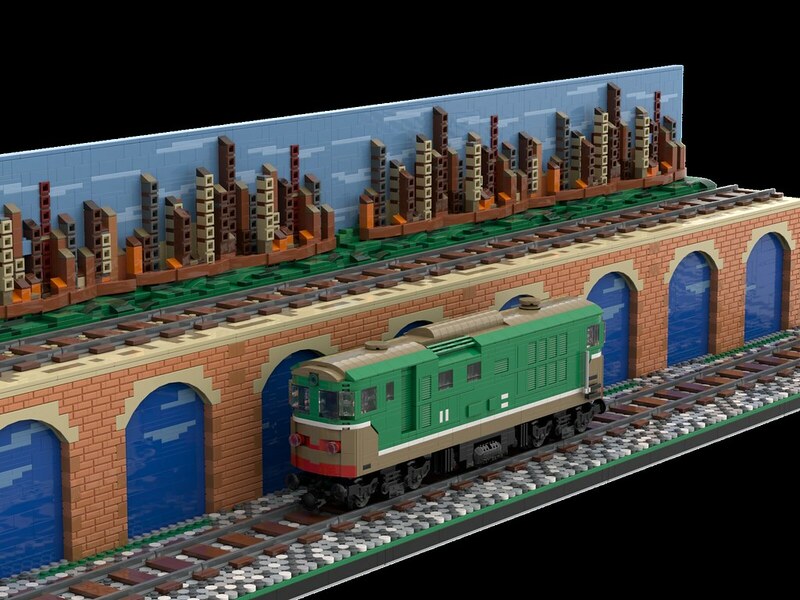 Does it only focus on models of original prototypes or does it bring building techniques or historic background information of the real stuff? 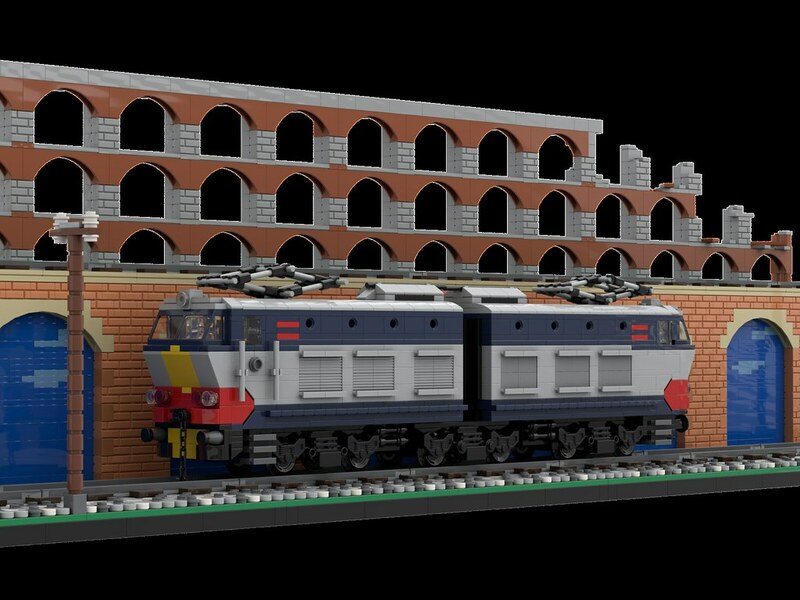 Anyway, a great addition to my book "LEGO Treni" which shows up on the book table close to your book. Very nice. Is there an ISBN number, because I like to order it via my lokal book store. Good evening Holger and thank you for your kind words. I bought your book when it came out and really loved it. So much quality content and pics! I can definitely say it was my biggest inspiration to try to publish something for italian readers too. My book is divided in 10 different chapters from letter A to L, plus introduction and a SNOT tecnique chapter. 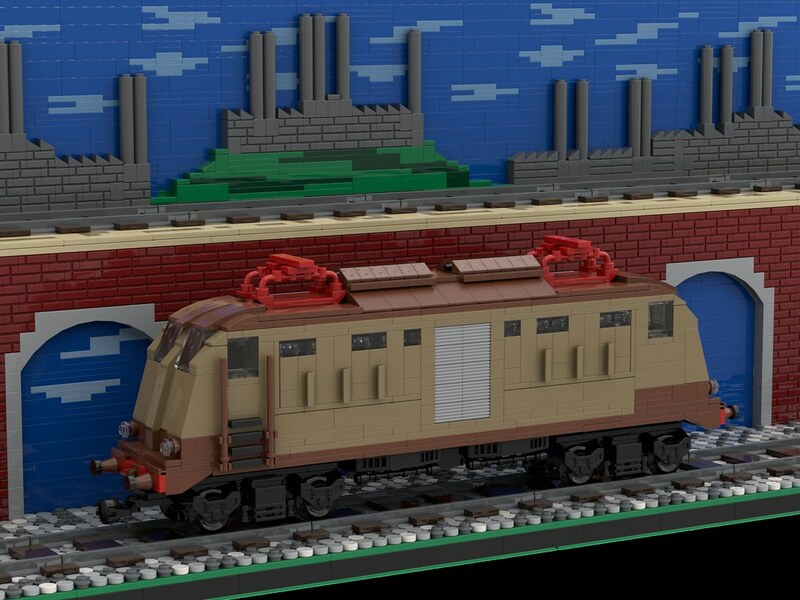 Every chapter tells the story of a locomotive or carriage, starting from the real one to the model I created with Lego. 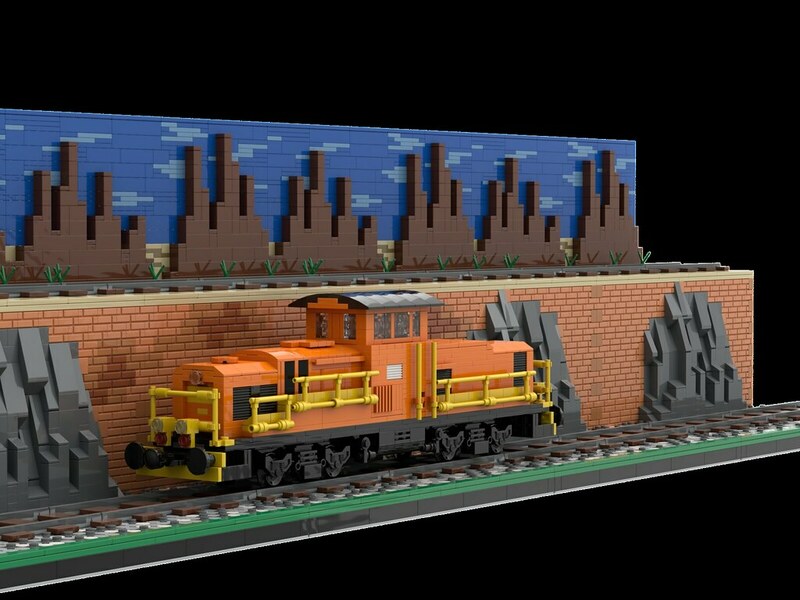 I wanted to give all the readers and train lovers the opportunity to share with me my passion for creating something new and different from pre-made sets, so I included in the book the instructions to build my custom 7 studs E424, also in mini-scale 3 stud version. You have nothing to envy, you are a master for me. Thank traintraum for your nice words. If you say so you make me curious!